This project is an inquiry into the topic of change, both small-scale and revolutionary. Students explored how change takes place in the world, and questioned to what degree humans are agents of change. 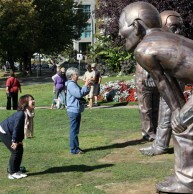 Students visited F Grass to explore how this sculpture speaks about freedom through arts in how it challenges censorship and the violation of human rights. 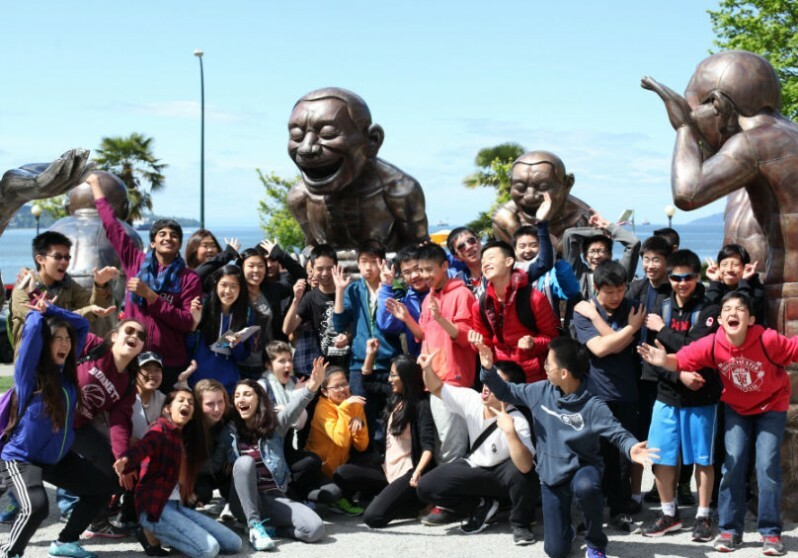 Students visited A-maze-ing Laughter, a sculpture inspired by the events of Tiannamen Square. They discussed power in numbers, and the strength of human expression. They reflected on whether all communication is as transparent as it seems, and how communication can disrupt the status quo. Overall, this project helped students understand how borders are broken down and re-formed through change. Students studied the historical impact of revolutionary change on people, particularly Indigenous populations. Students gained an understanding of how they themselves can take part in the breaking down of borders, and be agents of change. Change is an inevitable part of the world, and of how humans experience the world. Humans are agents of change, negative and positive. Change, both minor and major, can be a source of conflict. How does change happen on a local, regional, national or global scale? What kinds of change are revolutionary, and how do they happen? How do humans impact these changes? Students studied the global changes that took place historically during the time period: 1500-1815. Students talked about pre-contact, contact, and post-contact in Canada. What was the experience of Indigenous peoples in Canada through each of these periods? How did colonialism mark borders, not only on a map, but between colonizers, and Indigenous people. How can we, as the heirs of colonialism, create new crossroads? Students considered colonialism from different lenses, and wrote narratives from the point of view of the conquerors, and the conquered. 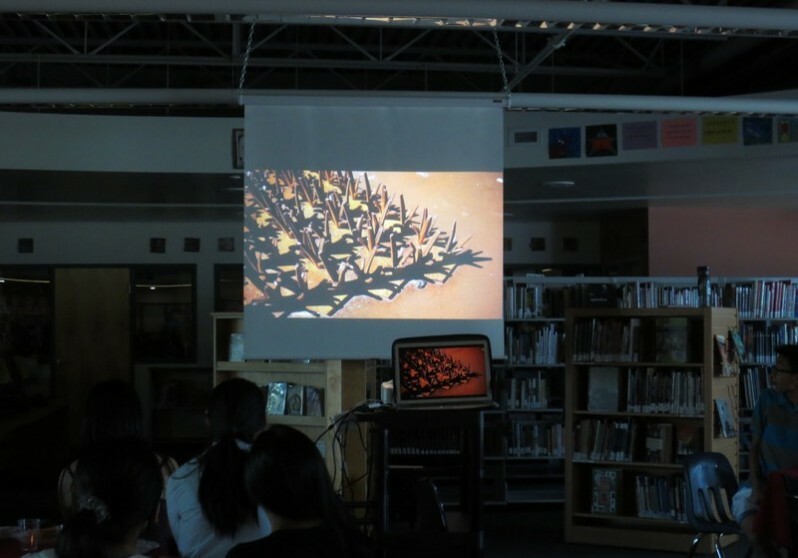 Students viewed parts of the CBC documentary series 8th Fire, and Murray Sinclair’s youtube talk on reconciliation, as commentaries on what needs to happen for Indigenous and non-Indigenous populations to move forward together. Students considered how the effects of colonialism still live on today, in Canada, and in other countries around the world. Students considered China as a country that has gone through many major changes over time, some of which are represented in the Biennale sculptures. Students compared China’s history to that of Canada, creating two timelines of change in a country. Students chose 2 historical/modern day revolutions, and depict in visual form, or in writing what they have in common, how they are different. Students considered causes, leaders, events, and conclusions. Students asked the questions: what is a revolutionary, what are the characteristics of a revolutionary, and do I share personal characteristics with any revolutionaries? Students presented their results in a Venn Diagram. Students read the short story, “Just Lather That’s All” and responded to the following questions: What does this story tell us about the two characters? How are the Captain and the barber the same, and different? What is the irony in this piece? What does this story tell us about the characters of revolutionaries, and what separates “regular” people from revolutionaries? Students considered what it is that turns change into revolutionary change. Students brainstormed revolutionary changes across disciplines: i.e. in sport, the Fosbury flop. Students talked about possibilities for change within the class, the school, the community, the province, and Canada. They considered what has potential to change for the better, what are the barriers to change (where conflict could arise), and what has to happen for change to take place. Science: Students researched a revolutionary idea in science (or at least one that was considered to be revolutionary in its day). How did it change that area of study forever? 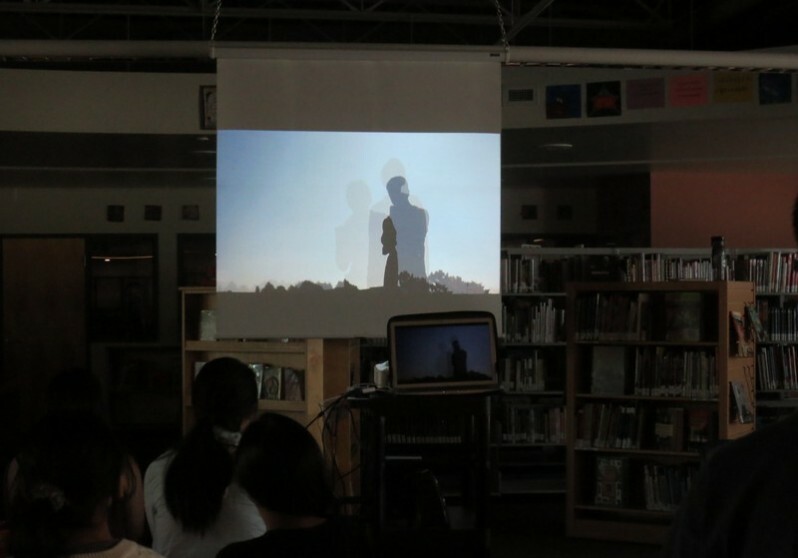 Visual Arts/Music: Students researched a revolutionizing movement in the arts. Under what circumstances did it arise, who were the major players, how was it received, and with what result. Students created/composed a piece entitled “Revolution”. Language Art: Students read and studied novels about revolution, i.e., Divergent, Hunger Games, The Chrysalids to deepen their understandings about change in the world. Students, in groups, worked together to come up with an idea for, and enact a change of their choice to take place in the classroom. Students worked together to come up with a plan to enact a change to affect the school community. It could have been staging an event, or a campaign to increase awareness about an issue, for instance. 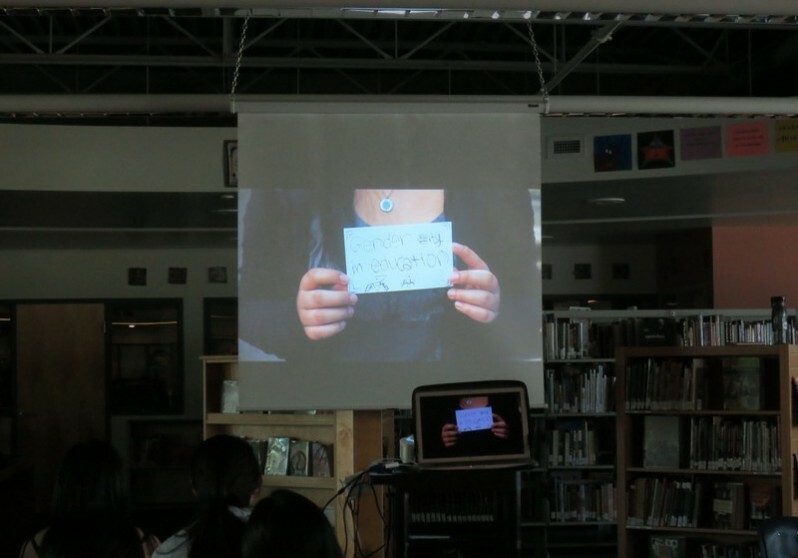 Students created a film to demonstrate their learning about change and revolution. Burnett’s project this year was a wonderful collaboration between filmmaker Jessica Hallenbeck, and her team of filmmakers Claire and Michaela, Elder Rosemary Georgeson, and teachers Farrah Merali and myself. Prior to our project, Farrah had done much background work on revolution with her class. 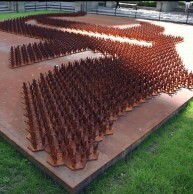 Ai Wei Wei’s sculpture F Grass was used to inspire students to consider revolution through art, and how freedom of expression gives us the opportunity to rise up and challenge authority, even if it is just one voice at a time. Students had the opportunity to view themselves as revolutionaries, and consider taking a stand for something that they believe in. Students also explored moments in their families’ histories when an ancestor’s choice, voice, or action was an act of defiance or risk. Students were fascinated by the F Grass sculpture. 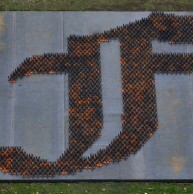 Its anti-establishment message prompted students to consider what mattered to them most, and then write their own “F Grass” messages to protest something, or someone. Students were thoughtful and passionate in their responses. Through this activity, students questioned the meaning of freedom of expression, and how much they individually valued this freedom, or, conversely, took this freedom for granted. Students then worked on discovering “revolutionary” moments in the lives of their ancestors, writing down stories and quotes that would be able to be shared in the collective poem. Once this research was complete, students participated in a movement workshop with Elder Rosemary Georgeson, in order to be able to enact physical gestures that would correspond to their ancestors’ histories. Finally students recorded the collective poem culminating their learnings on revolution. Our artist, Jessica Hallenbeck, brought this poem to life on film. Our inquiry was a great learning adventure for the students, who rose to every challenge presented to them. Rosemary did fantastic work with the students in a very compressed amount of time. 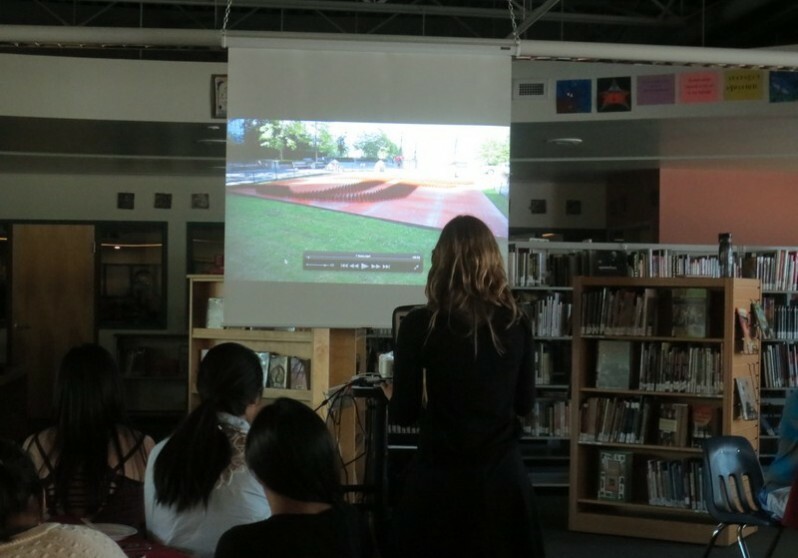 Jessica’s film is visually stunning, and does an excellent job of showcasing the student work. Although I have worked on several Biennale projects, I continue to be awed by the depth and scope of the learning experience, the power of collaboration, and the quality of the finished work. 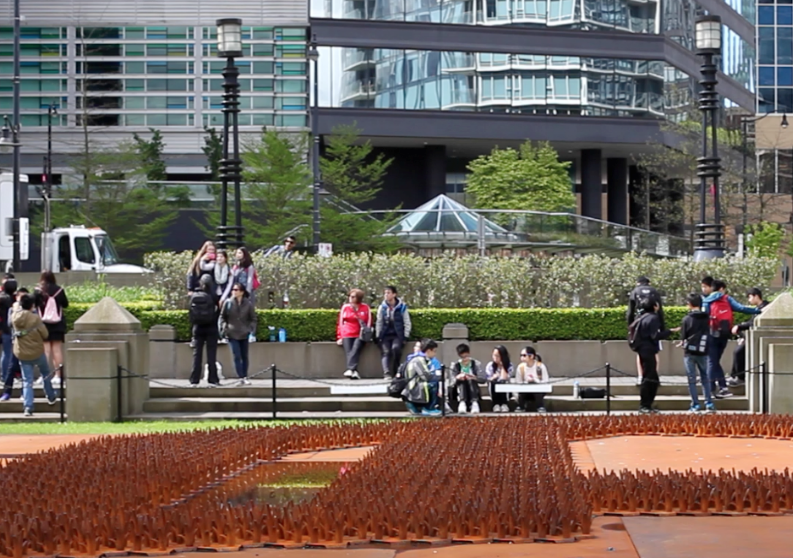 Thank you to the Vancouver Biennale and to London Drugs for making our project possible.